This is a tentative overview of your certification dives given you chose to do join UWC in one of our many Caribbean trips throughout the year. caribbean - travel with uwc! If you chose to do your certification dives with UWC in any of our Caribbean Trips here's an overview of how it is going to go. Please know that this is all tentative information as logistics may vary with the destination you chose. Don't know which trip to join? Check our Travel Schedule! If it is your Open Water Diver Course we're talking about, we highly recommend the Caribbean as the conditions are the absolute best possible for learning (fantastic aquatic life, great visibility, warm waters and generally easy diving). Our most popular choices for students are Cozumel and Bonaire, as their cost is hard to beat. We do, however, have many other options and as long as you don't choose a liveaboard (best for more experienced divers) you are good to go! 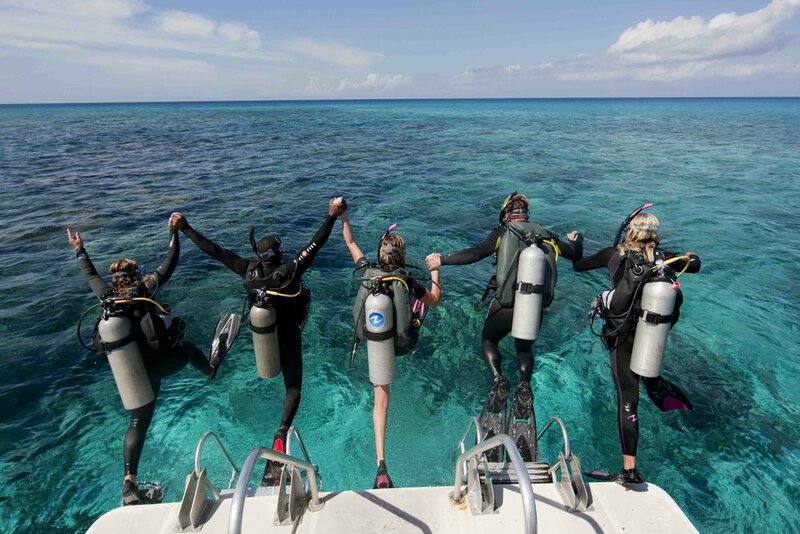 If you are already a certified diver we're talking about Continuing Education, and pretty much any diving trip you choose will give you the opportunity to advance your skills. You might want to check out our specialties or our Advanced Open Water and Rescue Diver courses. If you are not sure which ones will best match your choice of destination, come see the UWC Staff for advice. Your equipment will be ready to be picked up at Underwater Connection the day before your flight. If you have any different schedules than the rest of the group, please let us know so that we can plan accordingly. Your sizing is done during your Class & Pool sessions or ahead of time. The pricing will change depending on what equipment you need. You can find the pricing here or with the retail staff. We do, however, give half off on the weekly rate for students renting equipment on a trip with UWC. PADI standards only allow 3 training dives per day. Depending on the amount of dives your course requires, and on the destination you choose, your schedule will vary. Your first 3 training dives will be from shore, and your last dive will be with the rest of the group on the boat. The exact schedule will be determined by location, and your instructor will contact you ahead of time. Since you are already certified you can join the boat from the very beginning and most likely do some of your training dives both on the boat and from the shore during your vacation week. Your instructor will tell you the plan while you go through your Knowledge Reviews ahead of the trip. * You can save up to $250 by adding on courses, like your Advanced Open Water, on the same trip. Ask the retail staff to learn how! Your rental equipment is to be returned no later than the day after your return.